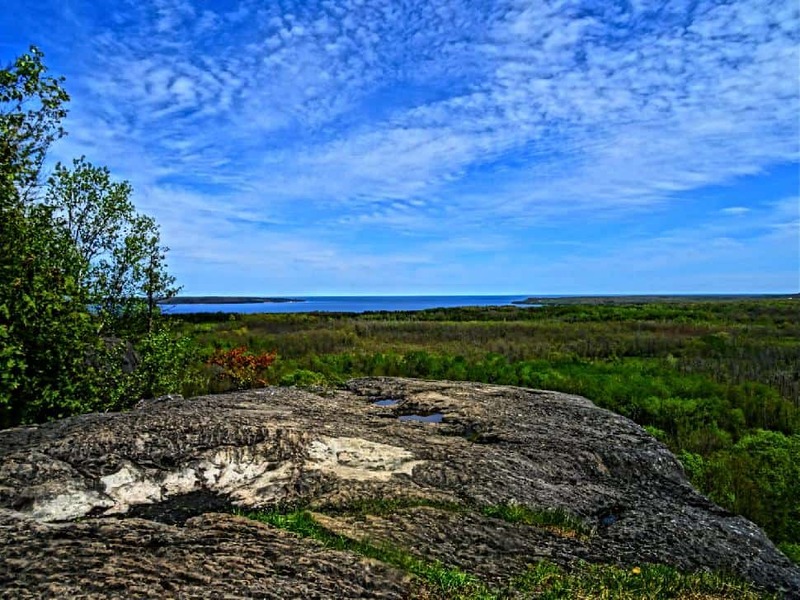 The Bruce Peninsula is one of Ontario’s most popular destinations for outdoor enthusiasts. The incredible landscape of the Bruce Peninsula is made up of untamed forests, soaring cliffs and crystal blue waters. But its majestic natural beauty is in danger—due, in part, to the rise in visitors to the area. So, we’ve assembled eight responsible travel tips for your Bruce Peninsula adventure. The best way to travel responsibly is to educate yourself. Before you plan your trip to the Bruce Peninsula, research all it has to offer. Don't just focus on the popular spots, but search for other areas that may interest you. 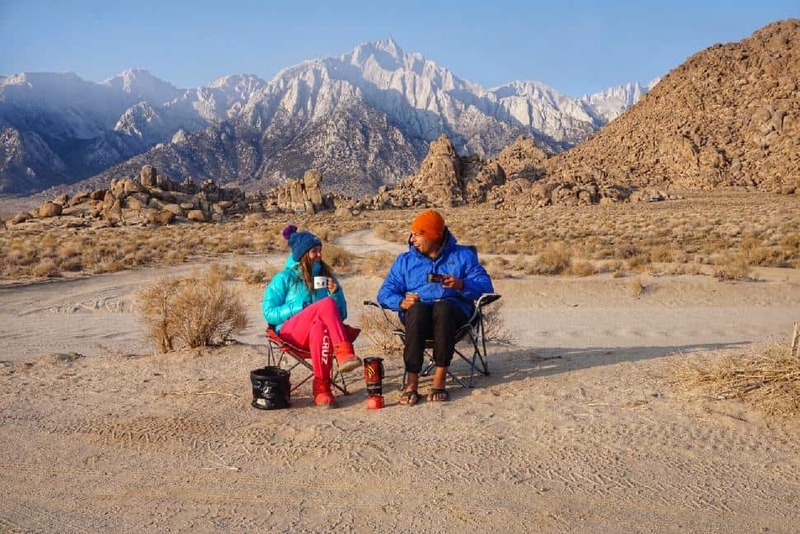 Ask locals questions and find out how you can do your part in protecting it, whether that’s taking part in a clean-up or choosing a more environmentally-friendly company or lodging to support. Peak season on the Bruce Peninsula is from the middle of May through August. The influx of visitors to the Bruce Peninsula National Park has increased dramatically over the past few years, making the Bruce Peninsula Grotto one of the most visited natural attractions in Ontario. Explorers are now required to book a time slot for entrance into Grotto parking lot during peak season. Reduce your impact, avoid the masses and plan your trip to the Bruce Peninsula during the off-season. Go snowshoeing in the winter, enjoy the autumn colours during the fall or visit early in the spring to spot songbirds and trilliums. Staying on marked trails is more important than you might realize. These trails are set where they are for various reasons. Sometimes, it is to ensure your safety from getting lost or to avoid crevices that are littered across the Bruce Peninsula. But trails are also set up to protect nature. 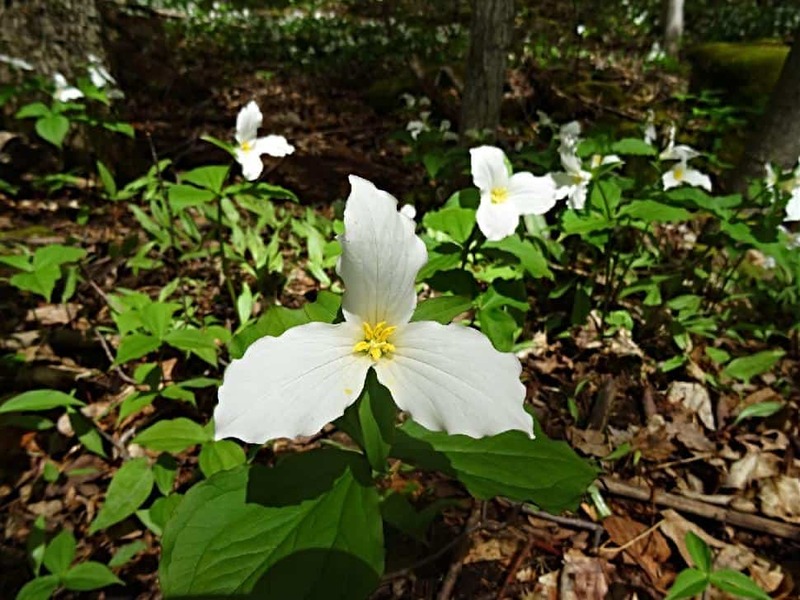 The Bruce Peninsula is home to delicate orchids and other endangered plant species and going off trail can result in irreparable damage to these plants. One of the easiest ways to reduce your footprint on the Bruce Peninsula is to follow "leave no trace" guidelines. That means not only tracking out your own waste, but being a steward and removing any garbage you find that others have left behind. Whether you’re hiking, camping or exploring, ensure you leave no waste behind—not even food waste. 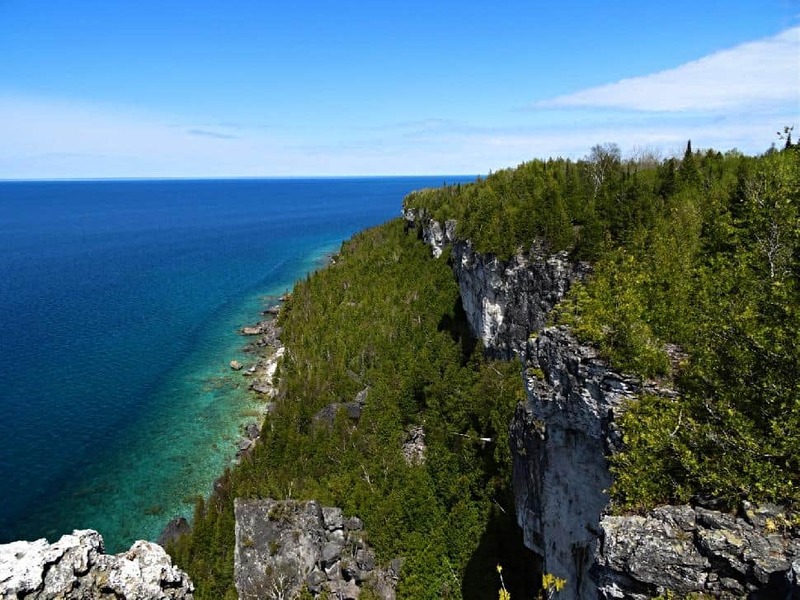 The Bruce Peninsula is home to some of Ontario’s best hiking trails and natural wonders. Some of the popular attractions include the Grotto, Bruce Peninsula National Park and an array of boat cruises. If you want to travel more responsibly on the Bruce Peninsula, consider visiting some of the less popular places. 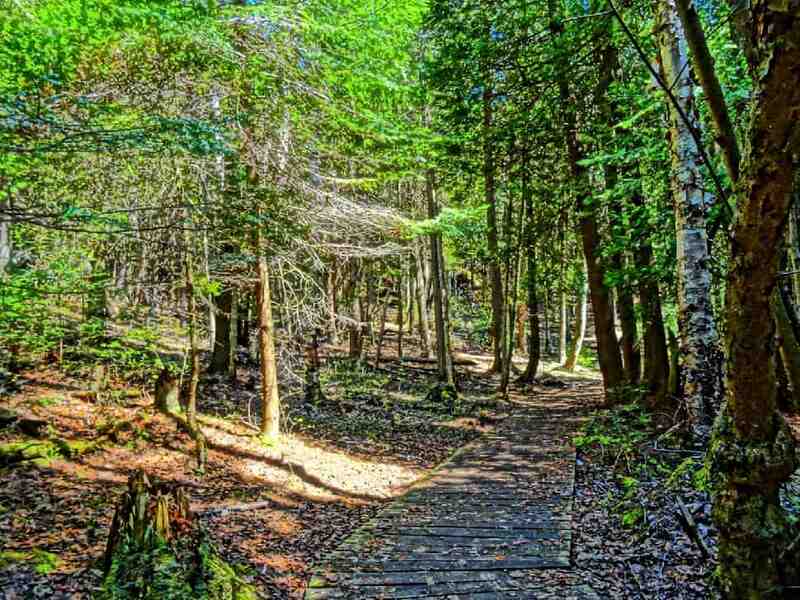 Alternative places to hike and explore include Lions Head Provincial Park, Skinner’s Bluff, Bruce’s Caves Conservation Area and Spirit Rock Conservation Area. These parks offer incredible scenery, cliff-top views, caves to explore and awesome hiking trails. When visiting the small towns that dot the Bruce Peninsula, eat at local restaurants instead of chains. This helps ensure that your money spent is going back into the community. And if you are looking to purchase a souvenir or any other items, shop from one of the many local businesses. Small towns like Tobermory are great places to start. 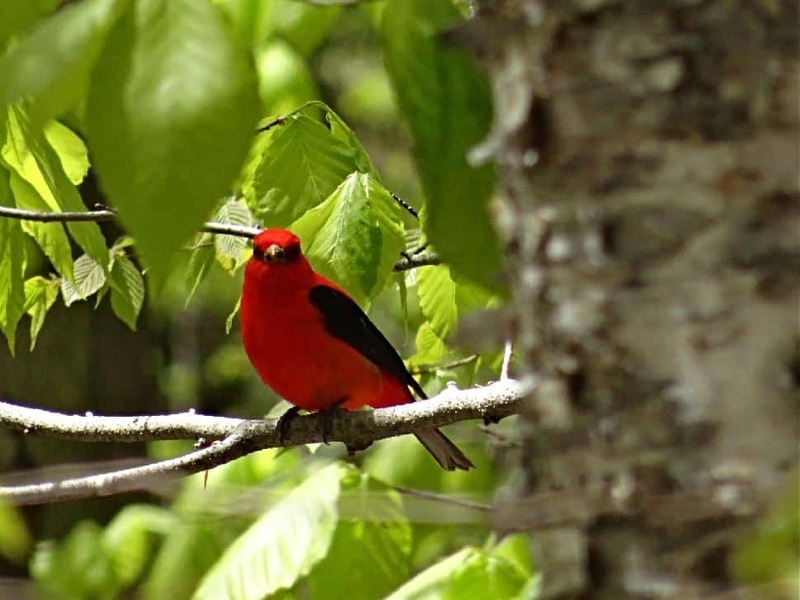 The Bruce Peninsula is home to an array of wildlife, from bears to rattlesnakes. 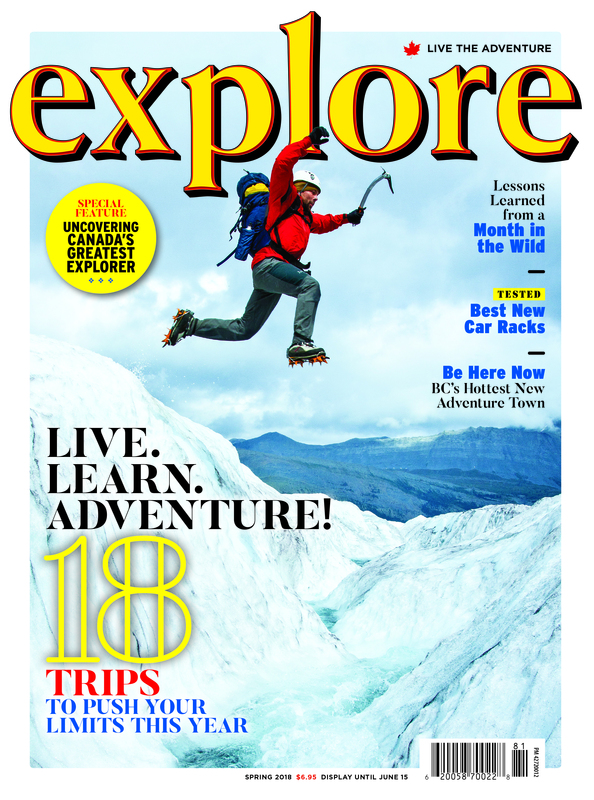 While many outdoor adventurers may long for a close encounter, there are a few things to keep in mind. To protect yourself and wildlife, always keep your distance. Refrain from picking up frogs and other animals. You should also refrain from feeding wildlife, including feeding bread to waterfowl. It has no nutritional value and can cause serious health problems or death. Plus, uneaten bread can cause harm to ponds and other ecosystems. Although it might be tempting, avoid interacting with the wildlife at all. This last responsible travel tip may surprise you. You should wash your footwear after every hike. When you hike, your footwear comes in contact with the plant life of the area. And by not washing your footwear you will be tracking plant and seed species into new environments and potentially introduce an invasive species. Invasive species create an imbalance and can cause harm to native plant species and can even disturb native wildlife. 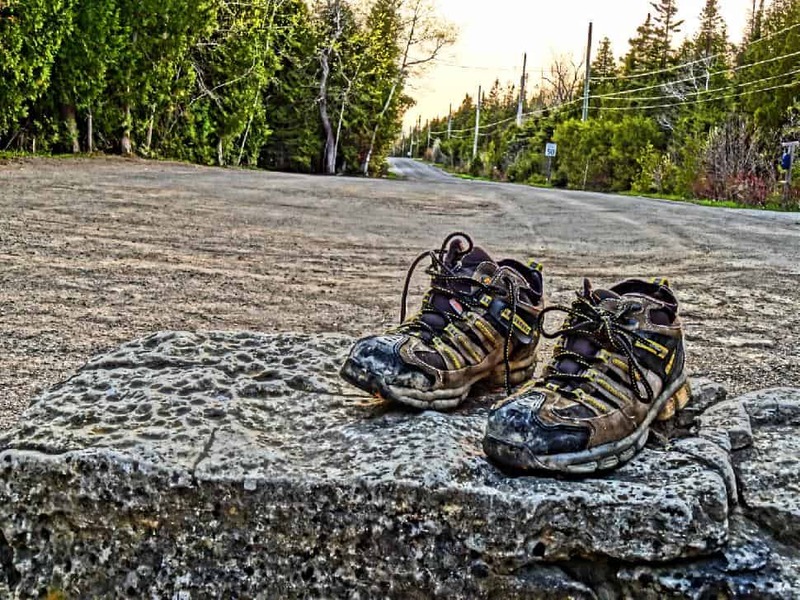 Washing your footwear is one of the easiest ways to reduce your footprint on the Bruce Peninsula. PS. 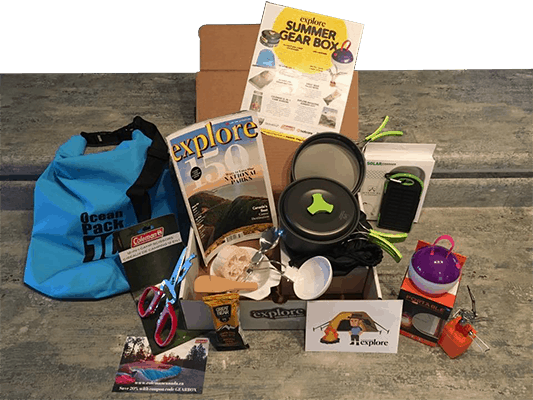 Have you joined the Live the Adventure Club?